Regardless of pessimistic views held by some NGOs, the Transatlantic Trade and Investment Partnership (TTIP) offers a remarkable opportunity to seek efficiencies between EU and US chemical management systems, writes Hubert Mandery. Hubert Mandery is Director General of the European Chemical Industry Council (CEFIC). The visit to Europe last week by US President Barack Obama against a backdrop of crisis in Ukraine is a sharp reminder of the common interest between the old continent and the not-so-new. The ugly alternative of drifting apart highlights the appeal of more open markets and economic integration offered by the proposed Transatlantic Trade and Investment Partnership (TTIP). The EU is currently negotiating a host of 21st Century trade agreements with countries around the world. Talks go much further than just eliminating import duties. They also address behind-the-border barriers affecting investment, intellectual property and public procurement. However, talks with the US attract most attention from both proponents and critics. With multilateral trade liberalisation in the doldrums, we believe this is an historic opportunity for the transatlantic community. We share many values. Our economies are increasingly intertwined. 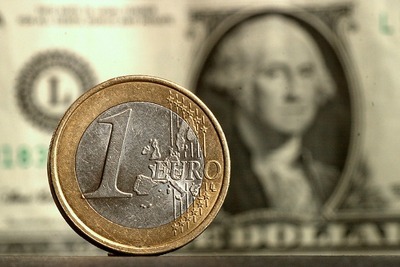 Europe and the US face the challenges posed by global economic rebalancing. In the wake of a severe economic crisis, our citizens expect their leaders to facilitate jobs, growth and better standards of living. Economically, it thus makes perfect sense to team up. The US is also Europe’s biggest trading partner: in chemicals, for instance, over 20% of our exports go to the US, and leading chemical companies operate on both sides of the Atlantic. In the wake of Ukraine, trade in US shale gas could answer last week’s call by EU heads of state for more balanced, secure energy supplies for Europe. TTIP, which offers benefits that go beyond traditional trade issues, must address a regulatory divide that has deepened in recent decades. Though goals are often similar, we see testing duplicated, divergent conformity assessment procedures, different standards and – last but not least – differing approaches to chemicals management. The prospect of regulatory cooperation within TTIP attracts a great deal of suspicion. Consumer and environmental NGOs as well as politicians fear that standards of protection will be lowered, or that the freedom of authorities to regulate health and environmental standards will be curtailed, benefiting only big business. Not so. Proposals we have laid out together with our US counterpart – the American Chemistry Council – can boost regulatory cooperation, maintaining high standards while achieving regulatory efficiencies. Our proposals also respect the different regulatory systems that our societies have chosen. We identify areas where EU and US authorities could work better together. For instance, both EU and US systems build on scientific assessments of how safe chemicals are. Scientists from both sides could meet to reach a common understanding of the science underpinning regulatory decisions. In the long run, we think these measures could bring future chemical legislation closer together. Both systems also have procedures to prioritise which chemicals to assess first. Our sector sees possibilities to streamline priority setting. For example, if the US and EU give high priority to the same chemicals, they should share the work. This would speed up the process and saves taxpayers money. Finally, classification and labelling of chemicals is done using the UN Globally Harmonised System (GHS), but applied differently in each market. We think more alignment is needed, which would result in significant savings for our companies, both big and small. TTIP is a remarkable opportunity, regardless of the pessimistic views held by some NGOs. For the chemicals sector, TTIP is neither about lowering high standards of safety, health and environmental protection, nor about creating a regulatory “chill”. Rather, TTIP offers the chance to seek efficiencies between EU and US chemical management systems, enabling savings for authorities, companies and ultimately consumers. Do NGOs really believe better regulation is a bad thing?